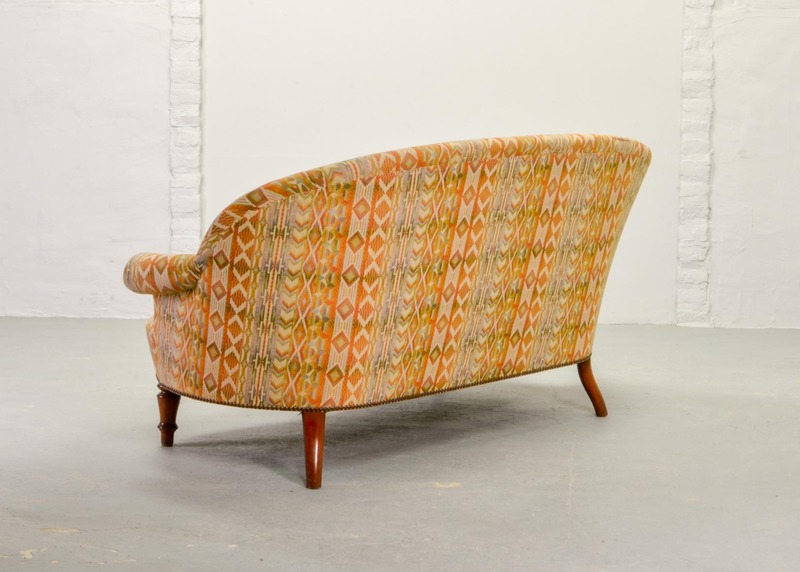 Very charming mid-century design French two-seat canapé. 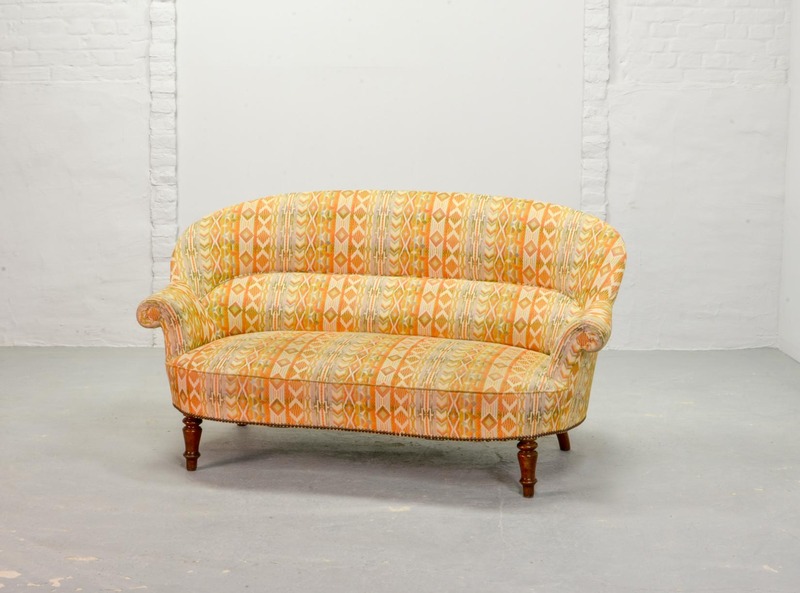 This elegant canapé sofa is upholstered in a gracious and vivid high quality fabric. 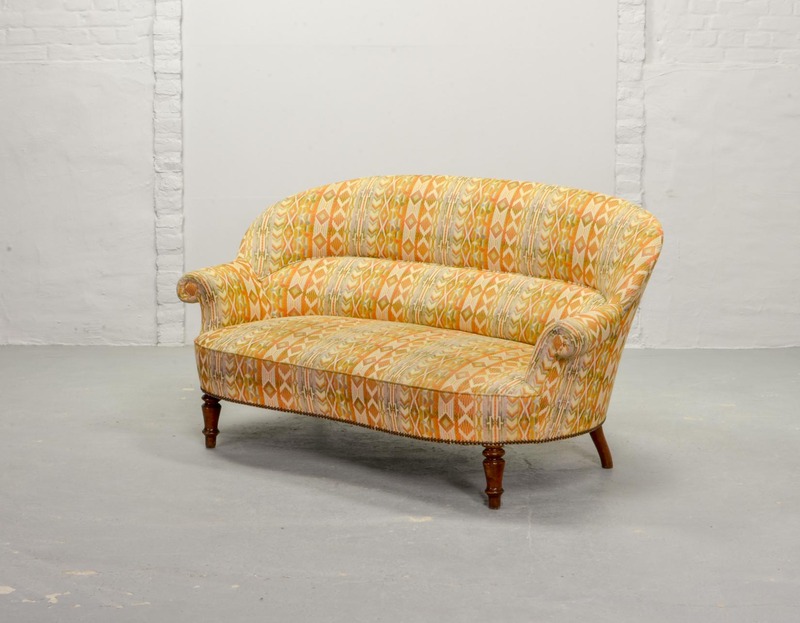 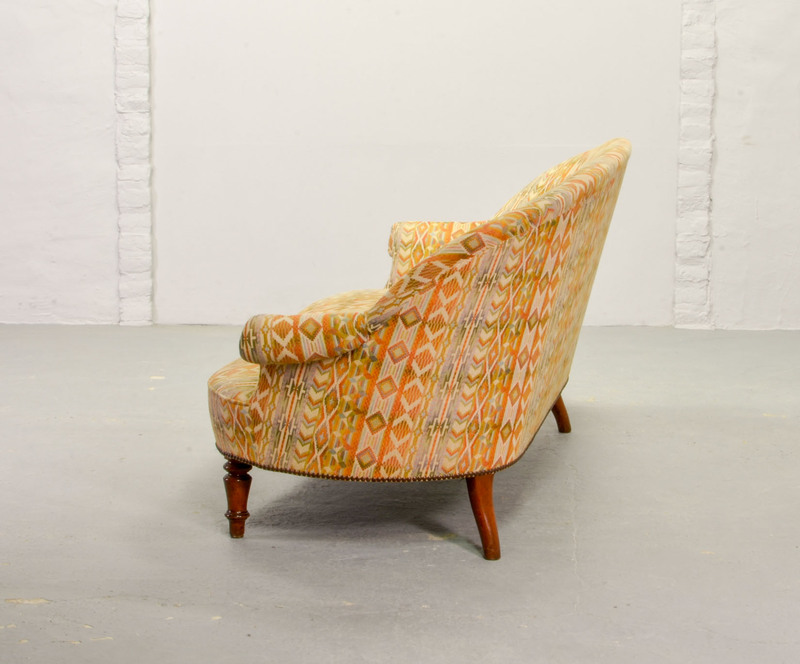 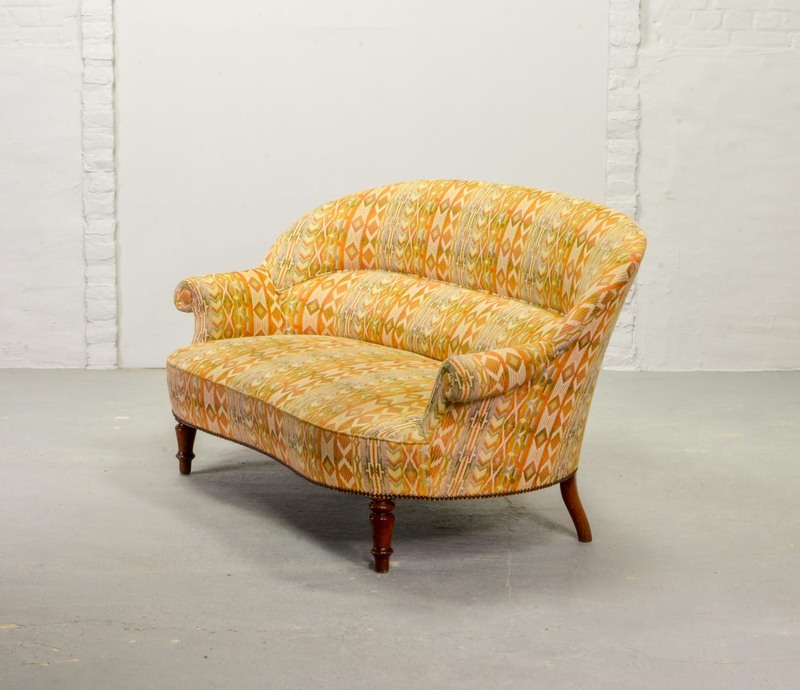 The sofa is in a excellent condition and is produced around the 1950s.